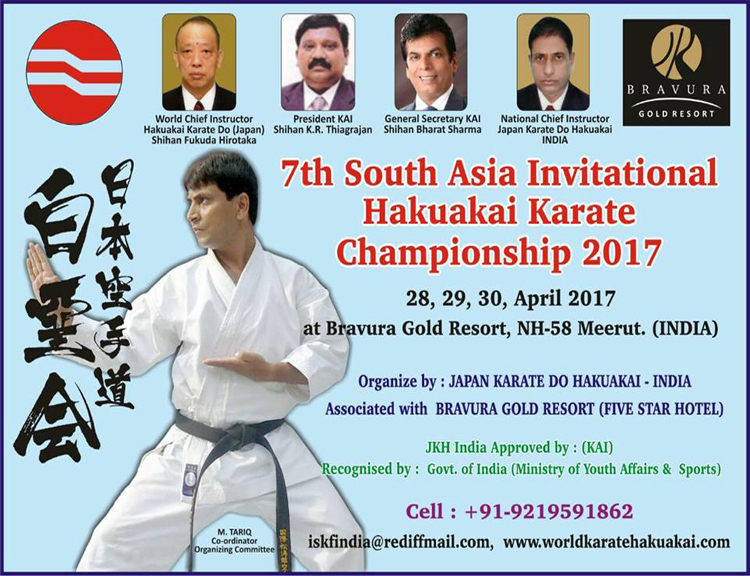 Japan Karate Do Hakuakai - India is organizing "7th South Asian Karate Championship" in the month of April from 28th to 30th, 2017 at Bravura Gold Resort. Entry open for South Asian Countries only. So tighten your belt & be ready for the event.